Feyre isn't the only shawl from Very Shannon that I've been working on recently. 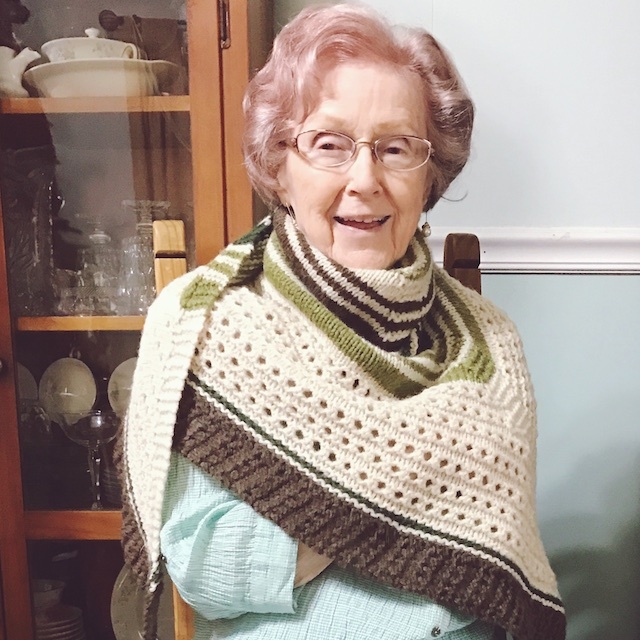 I also ordered a crap-ton of Cascade Eco from Craftsy, when I ordered the marled Patons, so I could knit my grandmother the Hudson shawl for Christmas. It's always a gamble knitting for people who live around me. We have no shared heritage of wearing wool. 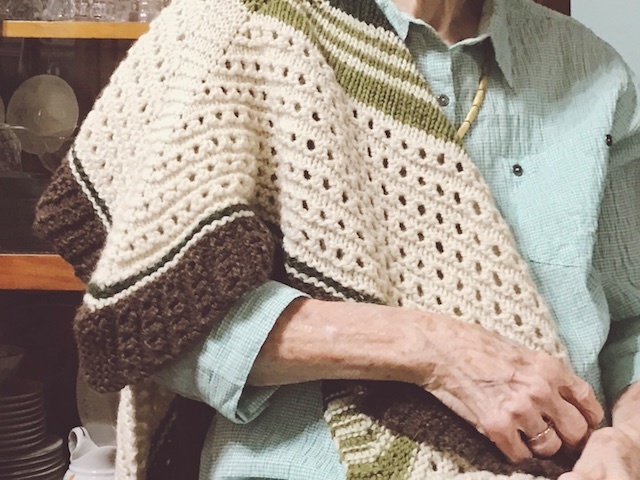 The closest thing we've got is acrylic afghans our grandmothers made for us. So many of my relatives and friends don't even wear sweaters, especially the men. Don't even suggest a shawl. 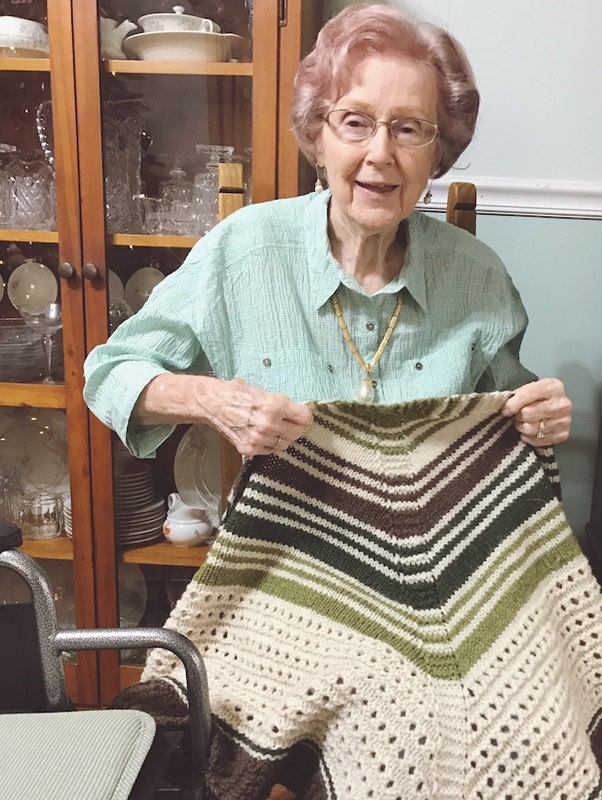 Even my grandmother, who once spent many hours crocheting everyone in the family an afghan or two, thought the idea of me making her a shawl was funny a couple of years ago. She asked me if I thought she looked like a little old lady. But, I think seeing how so many women are wearing scarves and cowls, along with spending more time indoors under freezing A/C has changed her mind. It can be miserable to shiver in a doctor's office, but not want to get in and out of a coat while in a wheelchair. 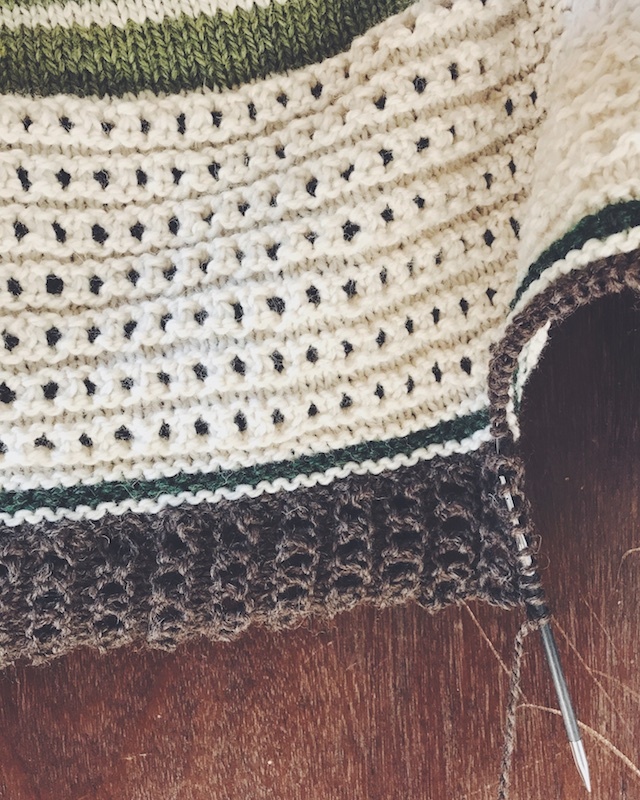 Of course, right before Christmas, a friend of hers knit her a small rectangular shawl. Apparently, someone besides me does knit in Southeast Texas. I was halfway through her Hudson and wondered if she would really want two shawls. Her friend's shawl was lightweight and maybe acrylic blend, whereas mine is bulky wool and larger. I figured there's a time and place for both of them, so I knit on. On Christmas day, I was prepared to not get disappointed if she didn't seem sure about the weight or feel of natural wool. Like I said, it's foreign to most of us. And there was the whole "granny in a shawl" stereo-type. I knew that even if she didn't love it, she would appreciate the time and love that went into it. Showing her how much I love her was the point, after all. But, she actually liked it! 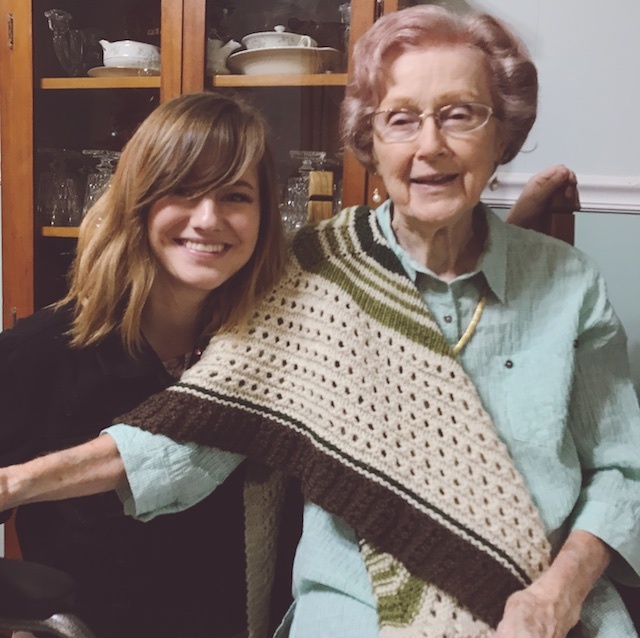 I'm only surprised because of the fact that a year or two ago I offered to make her a hand knit sweater and she asked for a drugstore koozie instead, which shows that you can never know a person completely. Details: I used size US 8 needles and Cascade Eco and Eco+ in the Shire, Turtle, Chocolate, and Vanilla colors. When I saw the color choices, I thought of some of those afghans she crocheted us years ago, and felt like it was worth a try. Thats four of the biggest skeins of yarn you will ever see. I was shocked that my right arm wasn't disproportionately ripped after hand winding all of them in one sitting. Thankfully, my husband didn't mind being my Human Swift. Human Swift is an upgrade from Human Shield. The rest of the shawl was just following directions. 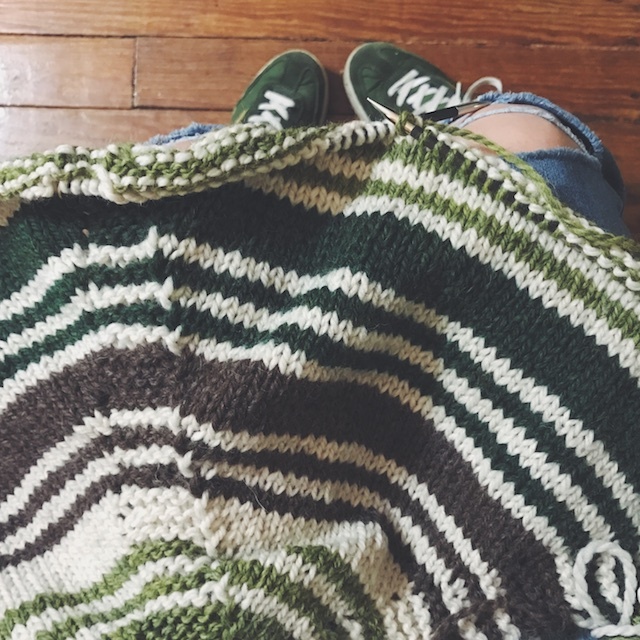 The stitch pattern changed regularly enough to make it enjoyable all the way through. And stripes, guys! 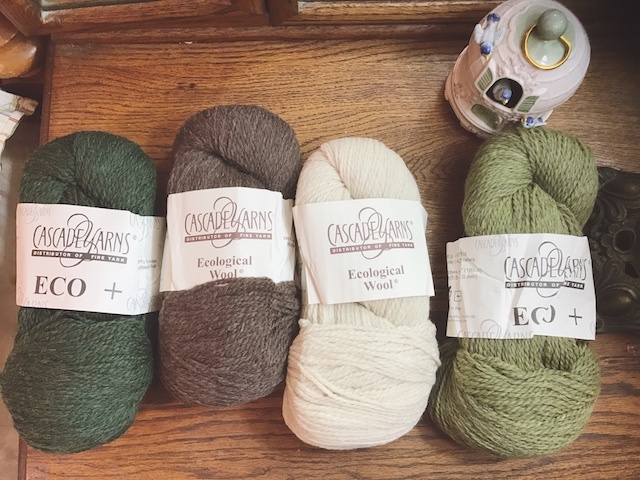 Besides being a lot of yarn for the price, the Eco skeins were large enough that I only needed an extra skein of Vanilla to eventually knit another Hudson for myself, along with some other accessories. It's Christmas for everybody. Doesn't she look sweet in it!? And shawl or no shawl, you would never guess her age.